If you’ve been following this blog then you know that I haven’t posted anything in months. Why you ask? My husband and I have been purchasing our first home. We moved the Saturday after Thanksgiving and still have boxes aplenty, but we’re in so that’s what counts. 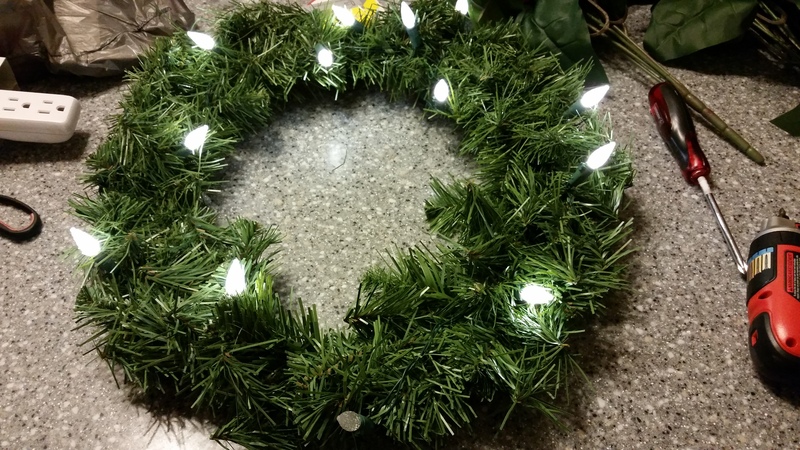 Don’t worry, there’s lots of home shopping/buying/moving/diy blogs to come, but for now let’s focus on something I like to call “The 10 Minute Wreath.” Why a 10 minute wreath? Because I’m living out of boxes and can’t find half my craft supplies, but still have to decorate for Christmas. 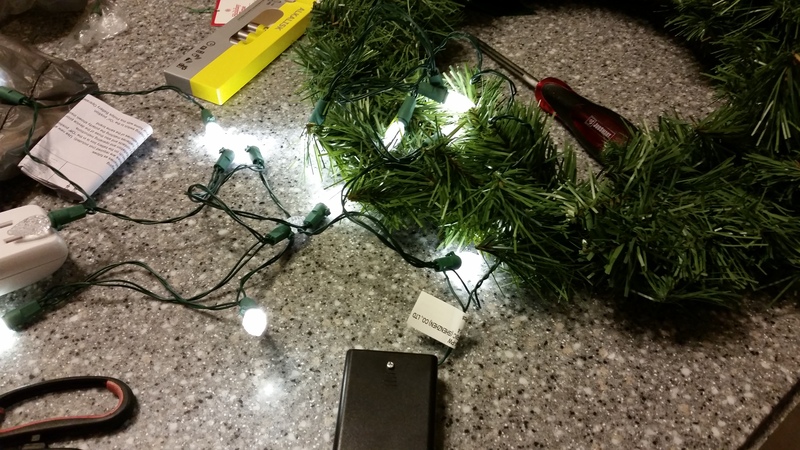 Start off by putting batteries in the lights. You do not want to get those suckers on your wreath only to find out that don’t work. You’ll end up slinging the whole thing across the kitchen. 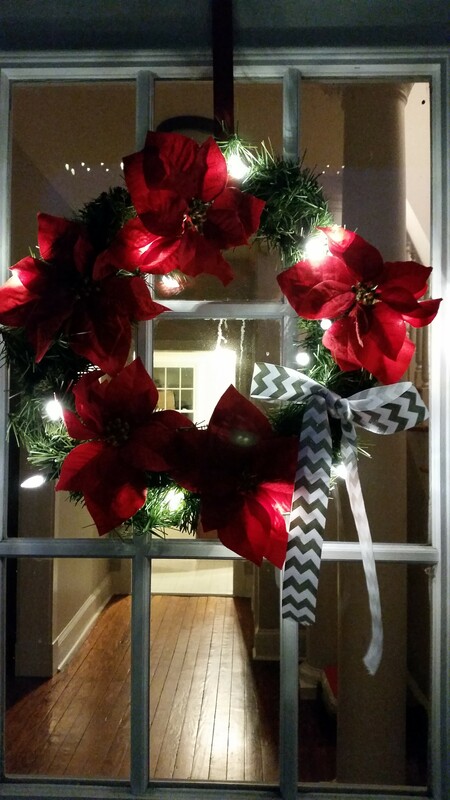 When you have working lights, wrap your wreath in them. I like to start with the end that has the battery pack on it and wrap from there, using the cord to wrap around the battery pack and secure it to the wreath. Now, cut the blooms off the main poinsettia stems. 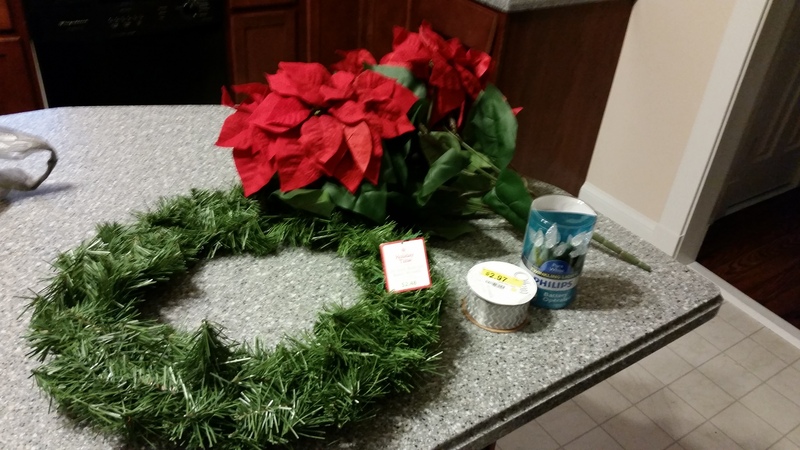 Be sure to leave a little of the thinner stem on each of them to tuck them into the wreath. You’ll definitely need wire cutters for this step, because scissors won’t cut through the stems. They’re usually some type of wire that’s wrapped in green plastic. 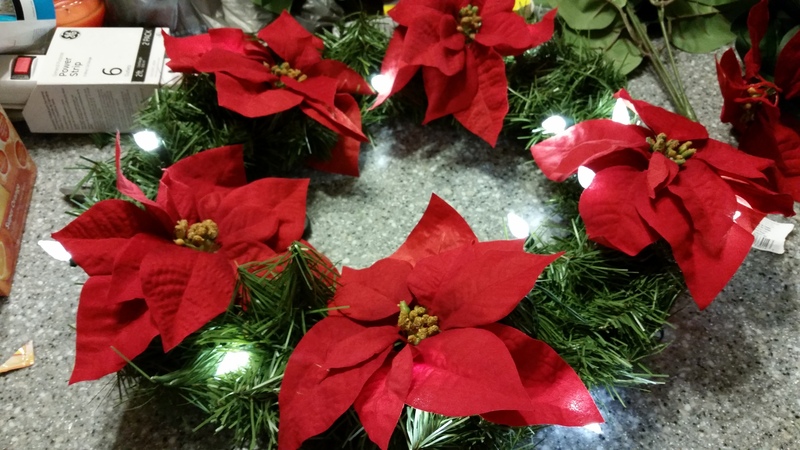 With the poinsettias cut, stick them into the wreath, leaving as much space between each as you desire. I left a decent amount of space to show off the lights, but you could really cover the entire thing with the blooms if you wanted. 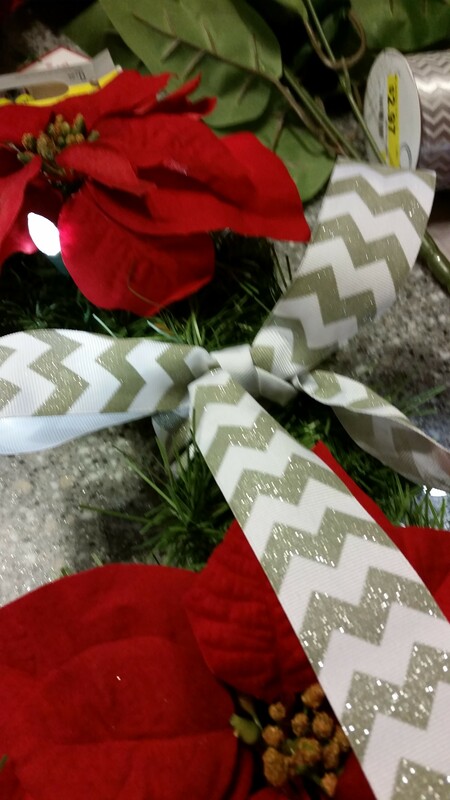 Next, cut a sizeable amount of ribbon and tie it around an empty space on the wreath making a bow. Viola! You’re done! Hello Christmas wreath! Hang it on the door and enjoy!